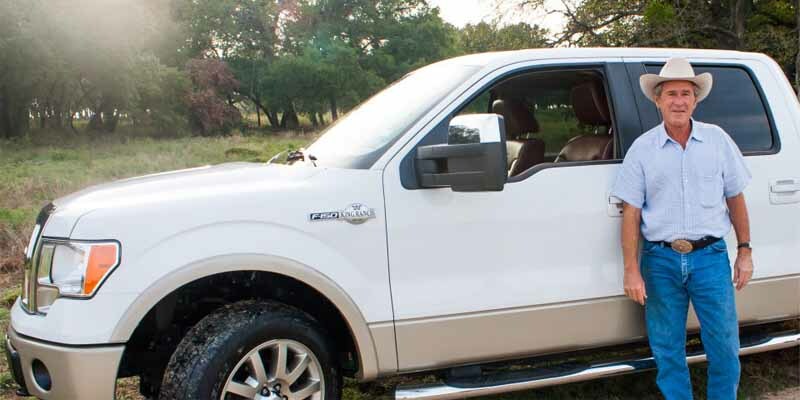 Consistent with his Texas country boy image, George W. Bush was often seen behind the wheel of a 2009 Ford F150 King Ranch 4×4. n 2013, it was sold for $300,000 at the Barrett-Jackson auction in Scottsdale, Arizona. All proceeds from the sale went to the Fisher House Foundation charity.